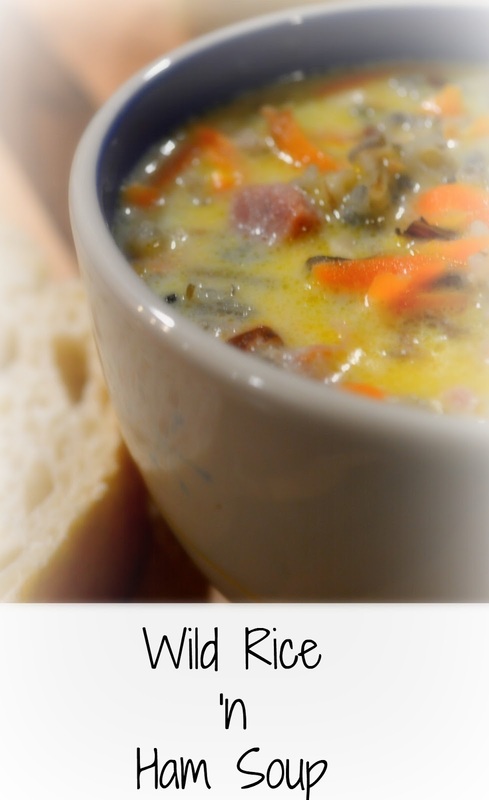 I originally shared this post for Wild Rice Soup back in 2012. I've wanted to get a better picture of this and update the post, but it seems I always make this on a weeknight, in the middle of the winter, and its just dark, dark, dark! 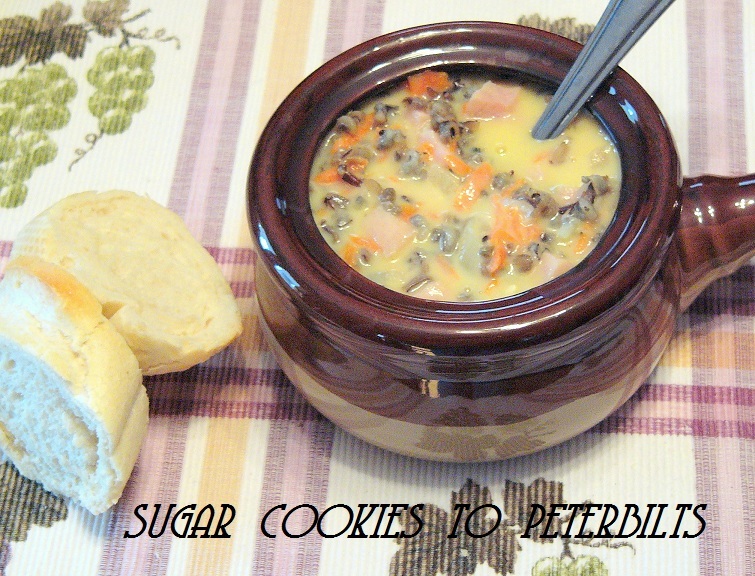 This soup is still a favorite, and even my husband who insists soup is just an appetizer, not a meal, can eat this soup as a meal! This is not a "fussy" recipe. Just eyeball the ingredients. Do you have one sad little carrot left in the fridge after you grated your 1/2 cup? Make that last carrot happy and throw him into the pot. Just have a chunk of ham left over from the holiday dinner, skip the measuring and just add what you have. A little extra, or a little less will be just fine. That looks super duper delicious and comforting! Hi Kris, what a delicious looking soup, one of my favorites. I can see why your husband likes this so much. I love a creamy soup with wild rice. This sounds delicious and now you are making me want to drive north to check out this store! I hope you are staying warm. Our ice and snow from yesterday should be melting in the 50 degree weather they are forecasting for tomorrow. When is spring going to get here?! ;-) In the meantime, at least there is soup! Ooh, that looks good! Your husband sounds like mine, not usually considering soup a meal. This one just might convince him! I've eaten plenty of wild rice soup with chicken, but never ham! Yum... great twist on this soup! Looks delish! !